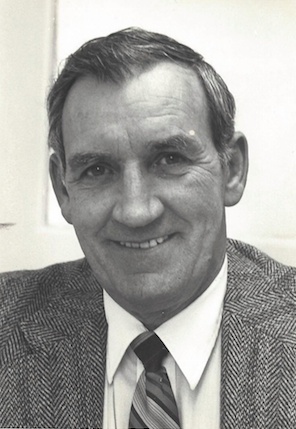 James L. Fitzgerald, 87, beloved husband, father and grandfather passed away on January 15, 2015 after a period of declining health. He born on November 1, 1927 on the family farm at Pine Island Colchester to Charles and Madlyn (Tatro) Fitzgerald. Jim served in the Army in the Philippines during WWII and upon return attended and graduated from UVM with a degree in Mechanical Engineering. During his last year at UVM he was hired by General Electric and retired after 33 years having worked in several departments, the last as a program manager. After retirement he started a part time business doing home maintenance and repair projects. Left to cherish his memory is his wife Ruth, children Karen and Bradley Badger, Pamela Fitzgerald and Peter Bonaccorsi, James M Fitzgerald and Kim Maskall, David and Lori Fitzgerald, Linda and Clay Barrows, and Robert Fitzgerald, 20 grandchildren, 11 great-grandchildren, 4 step-daughters Lisa Brown, Lory Cristoforo, Lesli Ritchie, and Lynn Brigan, extended family and countless friends. Jim was predeceased by his first wife Jean (Dunn) Fitzgerald in 1984. He met Jean through his first cousin Charlie who married Jean's identical twin sister Joan. He was also predeceased by his parents, brother Hugh and sisters Corrine, Catherine, Mary Lou, and Joan. Jim built a camp on Broadlake Rd about 50 years ago and so enjoyed being able to be out on the lake either sailing, fishing, or boating of any kind. He also had a love of scuba diving and looking for gold in the streams of VT.
A Mass of Christian Burial will be held on 11:00AM Monday January 26 at Holy Cross Catholic Church, Church Rd, Colchester. Visitation will be from 4:00 PM to 7:00 PM Sunday January 25 at LaVigne Funeral Home and Cremation Service, 132 Main St, Winooski. In lieu of flowers the family would appreciate donation to VNA Hospice Program, 1110 Prim Rd, Colchester, VT. The family would like to extend a special thank you to Ellen. Online condolences may be shared with the family at lavignefuneralhome.com.